Tonight we used some of our left over Christmas ham and made Scalloped Potatoes and Ham. 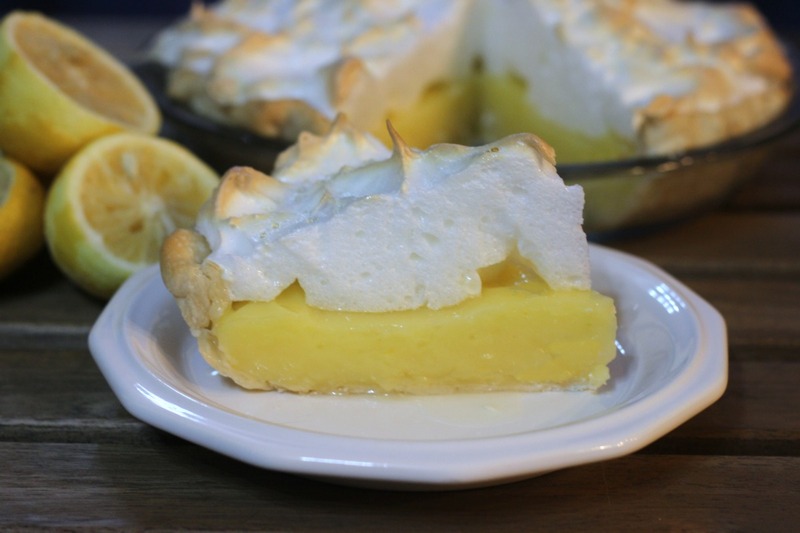 We are out of Christmas pie so I made this Lemon Meringue Pie. I made 2 pies so Billy was able to take one home to Kentucky with him tonight. He will be able to enjoy his pie with his Scalloped Potatoes and Ham. I use to have trouble with my meringue. It seemed to never rise very high and it always pulled away from the side as it cooled. I guess I have gotten better with practice or maybe with patience. In a sauce pan combine 1 cup sugar, flour, cornstarch, salt, water, lemon juice and lemon zest cook until mixture begins to boil. Put butter into mixture and stir until melted. Take 1/2 cup of the hot mixture and temper the egg yolks by adding the hot mixture as you mix it into the eggs. Stir quickly as to not scramble your eggs. Pout the egg yolk mixture back into the pudding and continue to cook until the pudding is thick. Pour Lemon Pudding mixture into the baked pie crust. In a mixing bowl beat the egg whites until light and fluffy, gradually add sugar as mixing and continue to mix until soft peaks form. 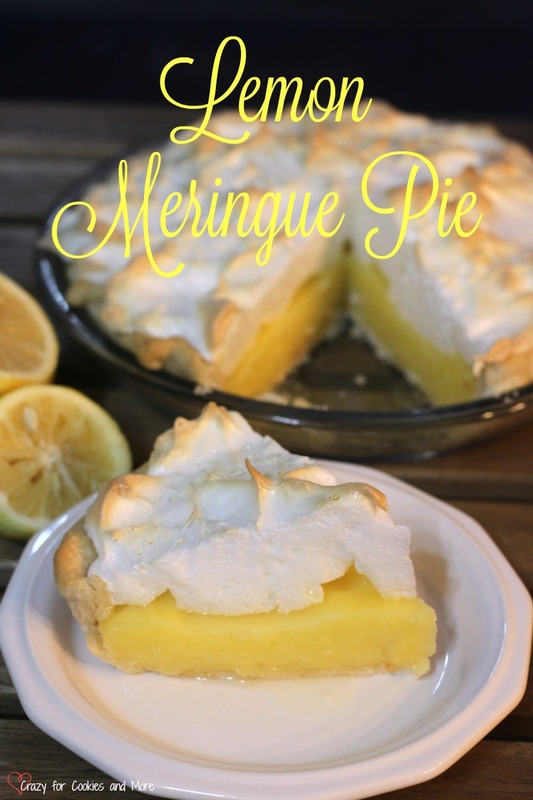 Spread meringue onto the pie and spread clear to the edge to seal in the pie filling. 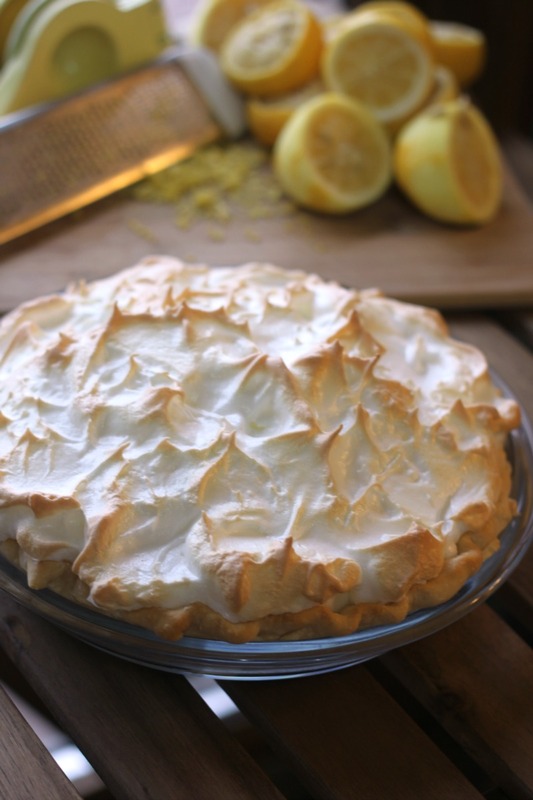 Place in a 350 degree oven for 10 minutes or until meringue is nice and golden.